The next time you’re heading out on a family vacation think about putting aside the ‘get there fast and get home even faster’ mentality we are all guilty of on occasion. This past summer my family and I took a road trip from St. Louis to Orlando Florida. We traveled to Florida to attend my daughter’s national dance competition event, many of the other families opted to fly but for our family, we decided to drive and make the most of the trip itself. In all honesty, I can say that looking back on our trip the time in the car, seeing the country and laughing with my husband and our kids is my favorite part of the entire vacation. This video was made on our way up North from Tampa. Seeing the different topography of the country and making spontaneous stops was without a doubt the most fun we had while we were away from home. We used an app called RoadTrippers to plan our trip and help us find places to stay and to eat along the route. We had a few spots we knew we wanted to visit, like Nashville and the American Archeology store there. Otherwise, we were free to stop when and where we wanted to. It was fabulous! My friend, Matt Madeiro over at Three New Leaves asked me what my favorite moments during travel are. Since I believe creativity is a point-of-view and thus everyone on the planet is creative, I was intrigued by this question. Because there are few other things in life that evoke such a profound shift in viewpoint than meaningful travel. What I discovered while unraveling my answering is that what I love most about travel and the moments I treasure are the same ones that teach me who I am and who I want to be in everyday life. Unless I’m confined to a creepy resort where there’s nothing to do but stuff my face and sit on the beach (something I could do anywhere and have no idea if I were in Florida or South America) I am stimulated when I travel. Even the most dedicated and caring mom needs a break once in a while. Taking a weekend vacation with other moms is a great way to unwind and de-stress. I’m glad I completed my GED and became independent. Great help for me was offered by online GED Social Studies prep from BestGEDClasses.org. World-class shopping, unique bars and some of Australia’s best spas are all included on the following list of vacation destinations. Melbourne has many great bars and nightclubs to choose from, but Curve Bar is one that should not be missed. This sophisticated wine bar is uniquely decorated in a blend of retro and futuristic styles. Groups will love sharing a large canape plate with their drinks. Melbourne is also home to some of Australia’s best shops. Groups that love department stores will want to check out the Bourke Street Mall. Traveling to South Africa with your family would be a wonderful school break opportunity for one of your longer vacation periods. Highly educational, enjoyable and memorable. When traveling to another country, it is often hard to decide what you will spend your precious time and money on once you’re there. This problem becomes even bigger when you have your precious family to consider. One of South Africa’s greatest heritages is the wildlife, the birdlife, and the rich vegetation. If you want to see all of this in one place, visiting a national park is the best option. Choosing one can be a bit of a minefield, so I have compiled a list of the best national parks South Africa has to offer, to make your decision easier. Most of these parks boast world-class safari lodges as well as down to earth camps if you need to stay over during your visit to South Africa. When booking a family ski holiday you need to think about the childcare and accommodation needs for your family, and it goes without saying that some resorts are more family-friendly than others. Skiing can bring a lot of enjoyment for all the family and provide unforgettable memories for everyone whether you choose to ski, sledge or simply play in the snow. Choosing a resort with a good range of off-piste activities such as husky rides, sports centers, swimming, ice skating and snowmobiling will ensure your children are entertained all day. Finding the best family-friendly resorts can be time-consuming, so to make it easier for you, I have already compiled a list of our top three resorts for families and have provided advice on the childcare and ski schools available. Killington is the largest resort on the east coast of America and stretches across six mountains. It is a fantastic resort for families with plenty of off-piste activities to keep everyone entertained, such as sleigh rides and rock climbing. Seven AM Saturday morning we loaded up the skis packs boots and sleds for a trip to the farm cabin nestled northeast of Prince George in the McGregor mountains. For decades there has been a love-hate relationship between skiers and sledders, mostly hate on the part of the skiers. Sledders probably just laugh at us. Nowadays government budgets are not sufficient to keep logging roads and Forest Service roads plowed in the winter. For skiers, sleds are becoming a necessity allowing us access to prime backcountry ski areas. All our ski equipment, avalanche safety gear, and technical clothing is topnotch and kept in good working condition. The sleds are usually bottom of the line and may get looked over grudgingly once a year. We stopped at the Pass Lake road with all the other vehicles, unloaded the machines, packed all the gear into the skimmers and set off down the compact snow filled road for about 30 K.
Splish Splash Long Island: Huge Water Park! Have you made your summer plans this year? We already went and came back from our family vacation, but there’s so much time left in the season. Heck, it really just began! Since we’ve already done enough traveling, we are lucky to have an awesomely fun family destination right in our own backyard, and that’s where we’re headed to next. Soon we will be visiting Splish Splash Water Park located in Long Island, NY. Located just 60 miles east of New York City, Splish Splash is the largest water park in the Northeast with 96 acres of slides and attractions for all ages! Here are 12 such natural wonders you absolutely, simply must see before you pass on. Aurora is a brilliant, natural display of colored lights that are created when electrically charged particles collide in the ionosphere, directed by the Earth’s magnetic field. This effect is called Aurora Borealis in the northern latitudes and as Aurora Australis in southern latitudes. These lights were named after the Roman goddess of dawn, Aurora. You can see these lights from high locations in Alaska, Sweden, Antarctica and south of Madagascar and north of Australia. Head out to London, Paris and Rome on an exquisite tour with a detour to the Cannes Film Festival during your stay next May. Secluded getaways have become passé. Couples want to experience the hub and vivacity of colorful and picturesque destinations. 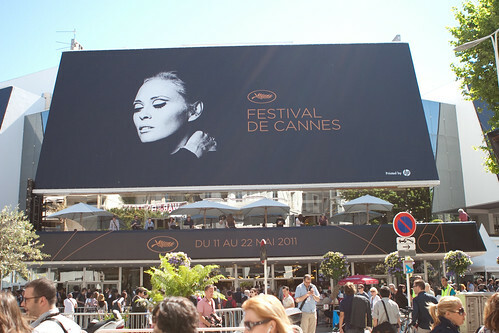 One of these is Cannes, and a good time to visit this beautiful French Riviera city is during the month of May. Why? Because this is the time when the weather is warm, mild and enjoyable. Clear blue skies greet you while the occasional spring showers add an extra dash of romance. And it is also Cannes Film Festival time, an annual event where stars from across the world descend, and movies from A-list directors and first-time talent are showcased.